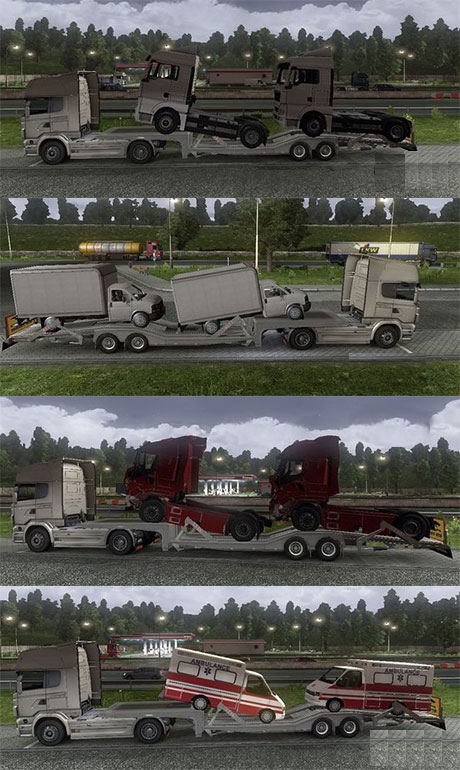 This mod introduces a "tow-truck" like vehicle to the game. For example, you can tow a pair of MAN trucks. A damaged Iveco, some utility vans and a pair of ambulances. This mod should work for most versions of the game however it may not work with other mods. Also, it has not been tested with newer versions of the game. Current time: 04-23-2019, 04:52 PM Powered By MyBB 1.8.20, © 2002-2019 MyBB Group.